Results in: Tooth collapse, bad breath, poor aesthetics, thermal sensitivity or pain. Many young people have not experienced tooth decay thanks to fluoride, better personal oral hygiene and improved diet. Tooth decay is however on the rise in adults, from the baby boomers onward. 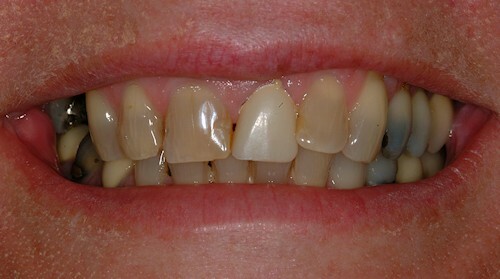 Old leaking fillings, gum recession with vulnerable exposed root surfaces, tooth movement causing food-packing (especially next to implants), dry mouth due to medication, less dexterity to clean well can undo a lifetime of dental care in a year or two. Decay and erosion, if detected early can be treated simply – often using preventive measures and minimally invasive biomimetic dentistry can be used to repair breakdown. 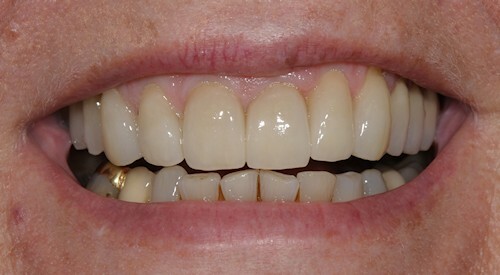 Where there is extensive breakdown of multiple teeth due to wear, erosion or decay and/or multiple missing teeth requiring replacement, rather than continuing to waste time and money on ineffective “patch-up” solutions, a more comprehensive treatment approach is indicated. Complex problems require a deeper understanding of many inter-related issues - Health, Function, Occlusion and Aesthetics. Blending science and art, Dr Andrew Dillon as a Specialist Prosthodontist has the skills, training and experience to provide predictable outcomes in the most challenging and demanding situations.